There are days where you head out to try to work on a specific idea, and then there are days where that doesn’t happen at all, and you have to just follow your intuition. And when something in the back of your mind tells you to bring along your rubber boots, you listen. Because you never know what might call you into the water. What might be waiting there for you to come along. And although, whoever might be waiting there, regards you with suspicion; they may make allowances for your curiosity. Probably just this once. 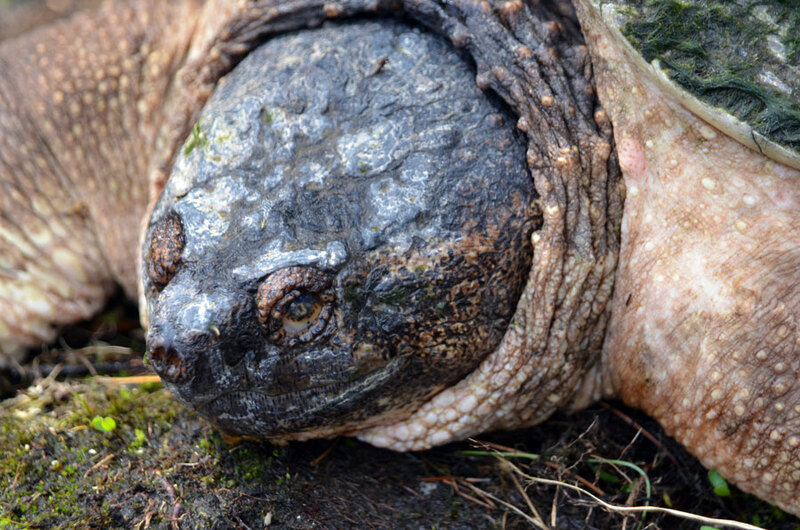 An early season, slow-moving snapping turtle, sunning himself almost unflinchingly, while I gently talked his ear off. I think we bonded. 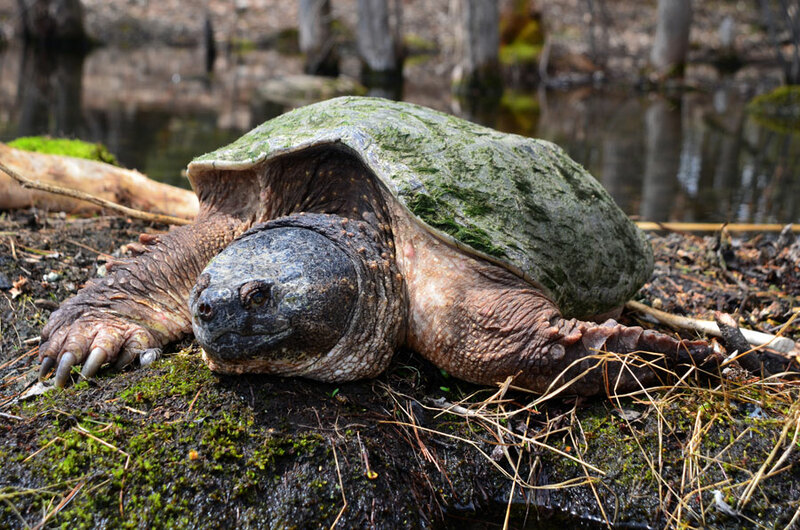 I have had other encounters with snapping turtles that were quite different, you can see another post here. I am extremely grateful to WordPress for selecting drawandshoot.me for their blog post: 8 Gorgeous Nature blogs for Earth Day Wow! I’m honoured. Thank you. I sure hope you bonded 🙂 What a lovely little creature he is! I love your photos and your little stories Karen. Yes, he blends in pretty well, doesn’t he? I guess you have to blend in when you move so slow! First off – congrats on being listed by WP for Earth Day. I was so excited when I saw your site listed. Well done. Second – very cool friend – where ever did you find him??? He’s great. 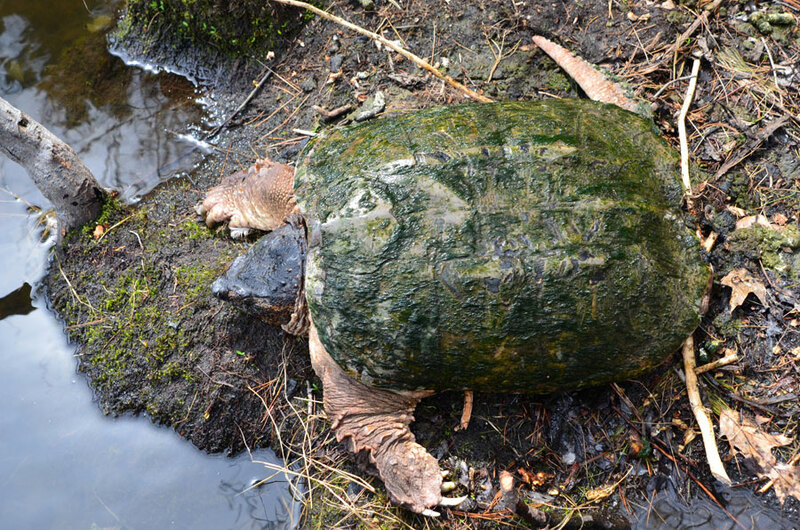 He is a resident of Mud Lake, these pictures are from today. He’s still waking up from winter so I was able to get very close to him! Wow, these are fantastic shots, Karen! I LOVE your new friend. He’s beautiful! 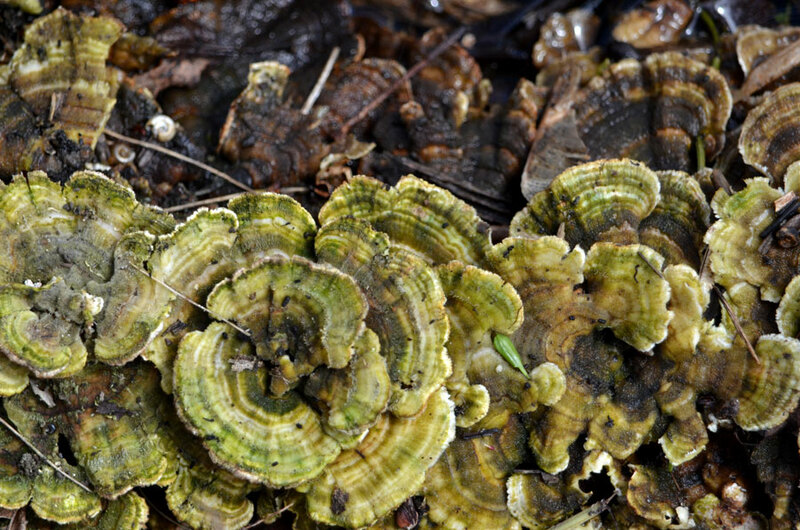 Congratulations for being selected for the WP Nature Blogs for Earth Day! Thank you on both counts, Lemony. He does have some cool factor for sure! And congrats on your WordPress selection. Thoroughly deserved! such an ancient face… ( not yours !!! ) and amazing the way his shell is covered in weed..
And thank you for your always wonderful support! You’re a good judge of character, he’s magnificent. Congrats. Your work is superb. Much thanks, Elena. I think he’s pretty cool, also. Thank you so much, Mimo! It’s great to see them waking up! Thanks so much, Wally. Wow! These are fantastic photos. Congrats on being selected for the Earth Day post. Congratulations, Karen, well deserved for your personal style! Bente, I’m not sure how old he/she is but they all look kind of old! And as they are just coming out of hibernation they move pretty slow until the days get warmer. I am certain he felt you and your camera were friendly . Congrats, Karen! More formal confirmation of how superb your photography is! Do you personally believe how good you are yet? Your friend is well camouflaged! It’s amazing how different species have developed in different places around the world. We have nothing like him, or her, or it over here! Thank you so much, John. I know I have some of your blog posts to check out, I’ll come visit soon! Kathleen, thank you. I appreciate it. I would be scared of that fellow! Congratulations of being picked for Earth Day!! Yes, I think if he was warmer and further out of hibernation he might be a bit dangerous! 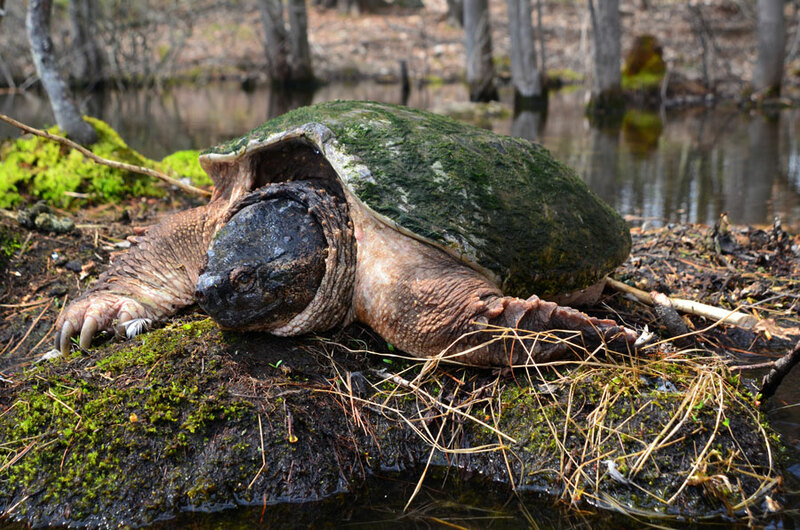 They don’t call them snapping turtles for nothing! There are quite a few characters like that around here! I remember these turtles when I lived back east. This one looks like quite a character. He was pretty calm at the time! And oh, I love this turtle photo-op. He looks wise, too. Good one to bond with. Lois, what a nice thing to say. I am humbled that you think that! Congratulations Karen, very well deserved. yes, I saw you on the earth day promo – well done!! I love this little guy with his green back, good thinking for wearing the boots! He is pretty interesting looking! Thank you, Lisa. Wow! What great shots… I don’t think I ever saw photos of such an impressive fellow before. I had no idea they had ‘claws’ like this! His eye is full of wisdom… you caught him well! Oh, thank you. Yes those claws look powerful, don’t they? 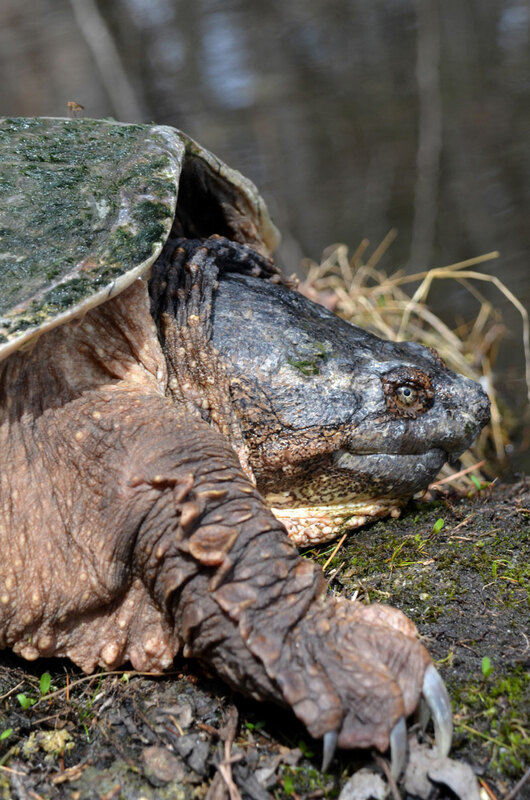 Nothing like a good chat with an ol’ snapping turtle. I’m glad to see this fellow apparently leech free. Great shots, and good on you for following your intuition and bringing along your boots. Yes, I was looking for leeches, too but didn’t see any. Poor guys! What a lucky day, thanks for sharing your beautiful journey once again! Congrats on the award, well deserved! Thank you so much, Cindy. It was a lucky day, I think he was to sleepy to go anywhere! Well deserved inclusion. Your pics are stunning. Thank you so much, that’s very nice of you! Lois is right, this turtle looks very wise :). Congratulations! Thank you for you congratulations, I’m very appreciative. Congratulations! You most definitely deserve the honour! Love the turtle, wonder how old he might be! Madhu, thank you. I’m happy you think so! I have no idea how old he might be. I wonder how long it takes for the moss-like growth to start on the shell? He is pretty cool! Thank you, Xandre. I’m really thrilled about the nature blog thing! How was Edmonton?! I can’t wait to see pictures! Those turtles are adorable – ugly, but adorable! Congratulations on being selected for your Nature blog. You deserve it. I know what you mean, Anne – they are ugly-cute! Full of character. Hi Alica, they are wonderful creatures, aren’t they? Thank you. 🙂 Yes, a very cool creature, Gigi. I was surprised at his tolerance of me. Don’t know how I missed these, nice shots — full texture! He/she is rather textural. Thank you so much, Al. Any amazing creature. Great shots, Karen! This is the first time I have seen this blog, Karen. Amazing opportunity. I get the feeling this is an old turtle; he seems to be looking at you with a rheumy eye. I talk to the animals, too, even if it is just to say hi. Thanks for directing me to this. It confirms my memories of the big turtle I saw.